OUTBOUND E-newsletter: INDEVCO Group Wishes Lebanon a Happy Independence Day 2011! INDEVCO Group Wishes Lebanon a Happy Independence Day 2011! 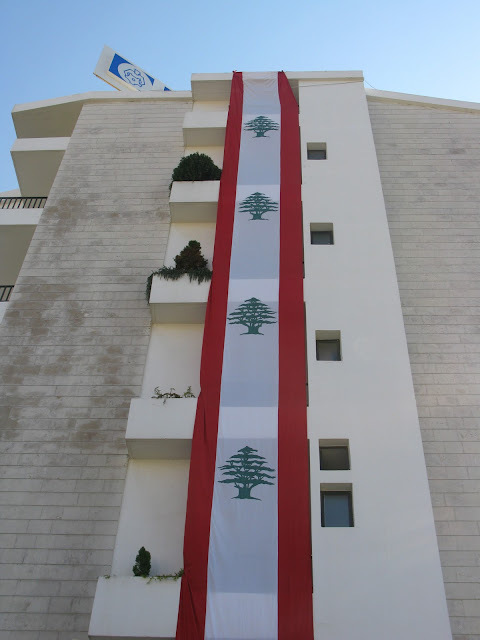 INDEVCO Group Headquarters prepares for Lebanese Independence Day 2011, 22 November 2011. Decorated in red, white and green, Lebanese flags cover the INDEVCO buldings in Ajaltoun, Lebanon. a Happy 68th Independence Day 2011! Member company, Sanita, consumer disposables manufacturer in Halat Lebanon, has re-launched its 'Shouf 7alak bi Lebnan' TV advertisement to promote Lebanese nationalism. Watch and share the 'Shouf 7alak bi Lebnan' video.